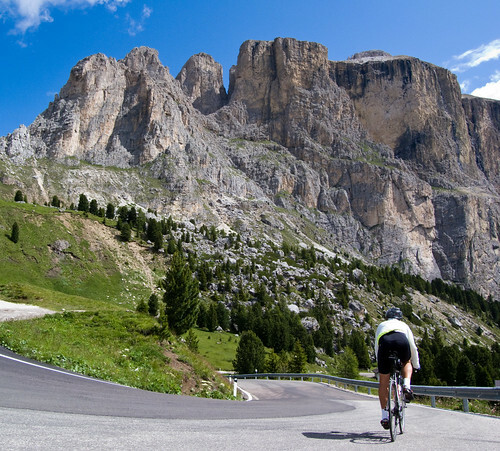 Starting from Corvara, there are four climbs: Passo Gardena, Passo Sella, Passo Pordoi, and Passo Campolongo. 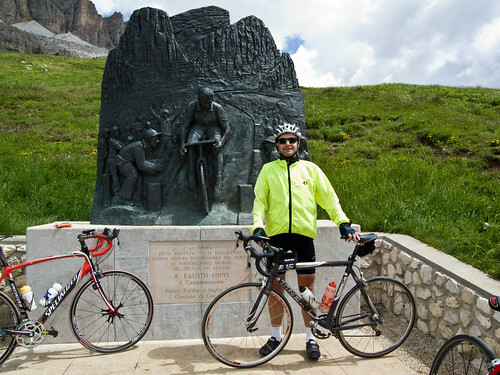 Ciao Will, i came by your site whilst looking for somewhere in Europe to set up a cycle-tour business with my wife (I retire in less than 3 years (aged 50)). I haven’t taken time to have a good look through the content but I just wanted to say that I really like what I’ve seen so far. You’ve gotta be proud of what you’ve done so far, good on you. Great pictures Will. A really scenic loop that I will always remember. Hi. 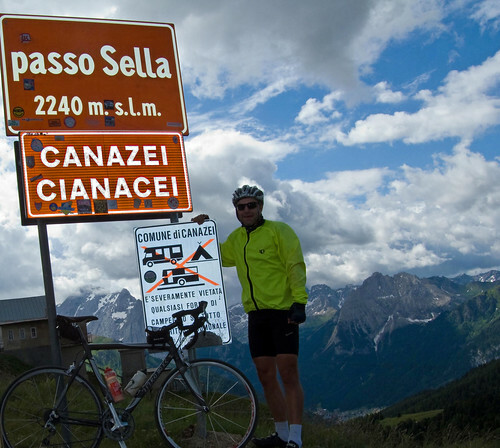 I actually did ‘La Sella Ronda’ race itself on 27 June. I rode a total of 68kms on my mountain bike in a time of just about 4hrs (including riding to and from my car at S.Cristina). Although it was tough, as you can see the views were truly stunning. The best part is the descents! Also, I rode across the Himalayas last year and tackled 5 mega passes of over 5,000 mtrs, the worst being the infamous Pang La. 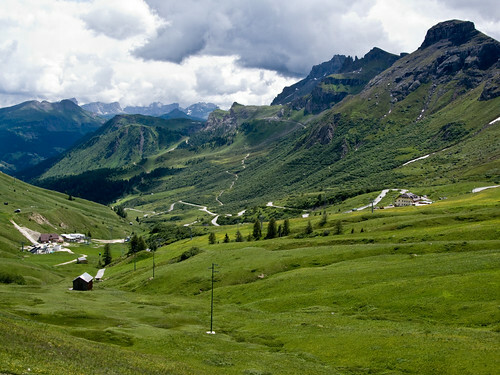 This Sunday rode up the Passo del Giova (near Varzi) where at the very, very top you have the last 3-4kms at 20%!! Why do we do this stuff? Can’t figure it out…!! PS: I live in Italy, I’m a lucky guy!! Great website! 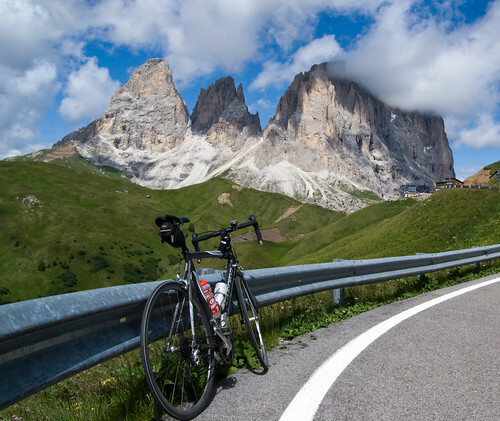 Myself and my partner are heading to the Dolomites in a couple of weeks and I’m trying to plan some cycling routes- are these courses on your Garmin or have you used local maps? Just trying to work out what to order! Whenever I cycle somewhere for the first time, I always have a GPS course on my Garmin GPS. You can get the gpx file for any of my routes by clicking in the link at bottom map. I would like to know how easy to do the tour individually with the help of GPS starting from Selva for beginner of intermediate biker ? That is a very difficult question. It depends how strong and determined you are. My advice? Make sure you have a bike with easy gearing. Then take your time, and make sure you drink and eat enough during the ride. And enjoy yourself. Hi there, love your site. 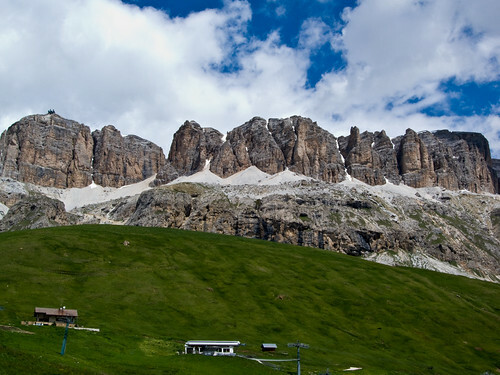 I’m heading to the Dolomites in July and honestly can’t wait. 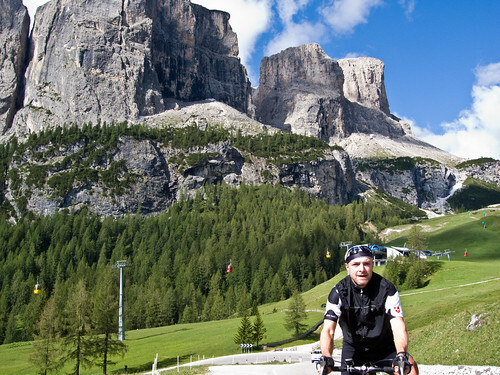 I think your site has sold me on the Maratona dles Dolomites course. If you are of just moderate fitness and mental toughness, over how many days would you recommend taking to complete the course? If it’s over two days, do you have any suggestions on where we sleep on day 1 and 2? 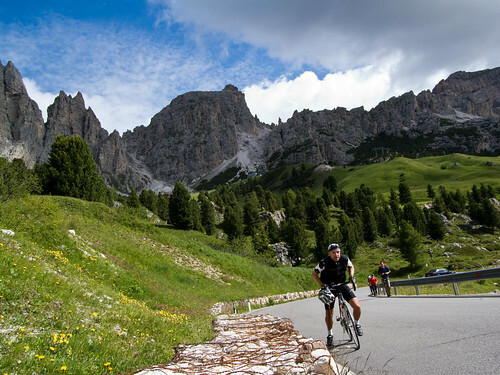 It’s tough to guess how long it would take someone else to ride the route but you could stay in Corvara for both legs if done over two days. 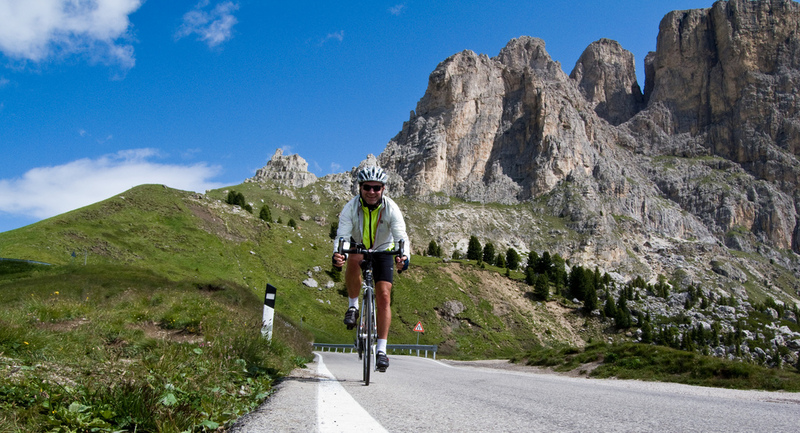 Day one, the Sella Rionda loop, Day 2 the balance. 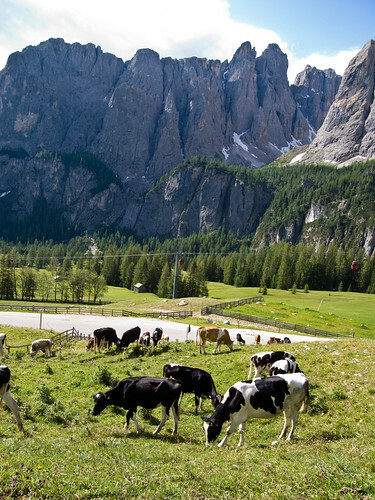 (I’ve stayed in Corvara a couple of times, quite nice.